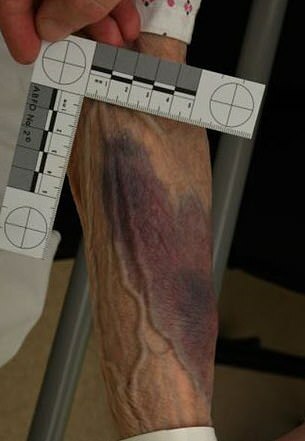 A heroin addict faces a lengthy jail term for killing a 100-year-old widow who had survived a Nazi death camp in the Second World War. 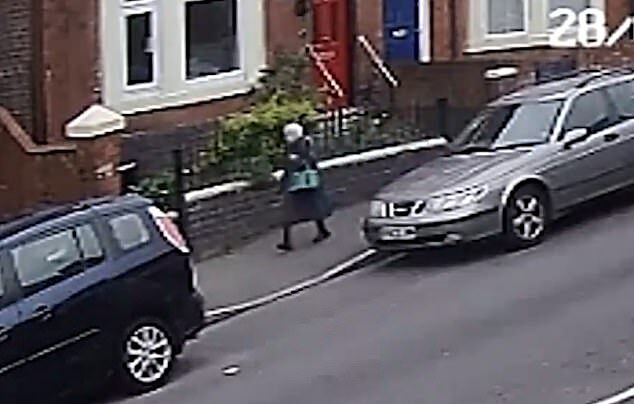 Artur Waszkiewicz, 40, grabbed pensioner Zofija Kaczan from behind and stole her handbag as she walked to a church service in Normanton, Derby on May 28 last year. 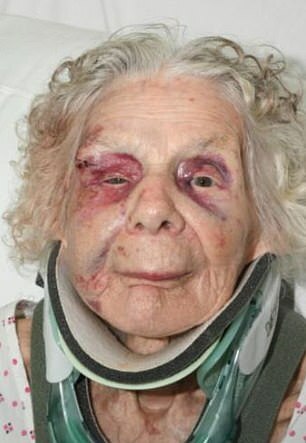 She suffered multiple injuries as a result, including a broken neck and fractured cheekbone. Her condition later deteriorated and she died from pneumonia last June. 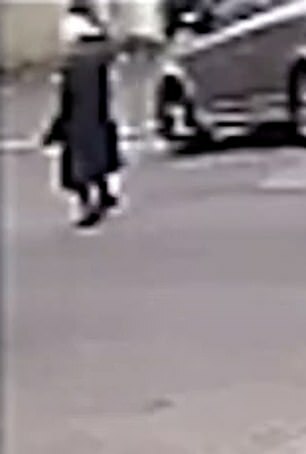 Astonishingly, committed Christian Ms Kaczan had prayed for her attacker as she lay on deathbed, friends have said. It took a jury just over two hours to convict Waszkiewicz of both manslaughter and robbery today. He showed no emotion and looked straight ahead as the verdicts were delivered. Judge Nicholas Dean QC adjourned sentence until Thursday morning at the same court. 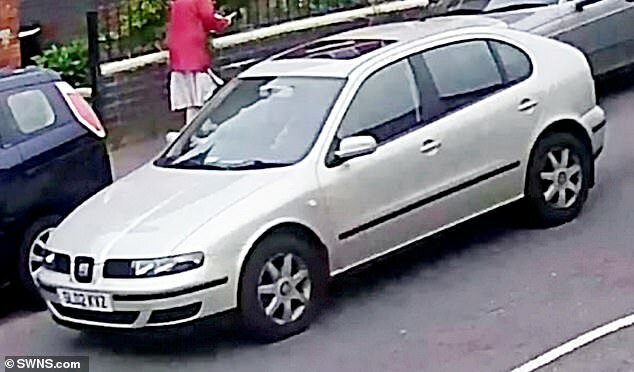 Waszkiewicz was caught on CCTV driving a Seat Leon car he bought from his father minutes before robbing Ms Kaczan – slowing down as soon as he saw a ‘small, vulnerable’ woman on her own. He needed an ‘easy target’ to steal from so he could meet a drug dealer a short time later to buy £20 of heroin. The force he used ripped the handle off the handbag, inflicting significant bruising on Ms Kaczan’s arm. Opening the case, prosecutor Kate Brunner QC said: ‘She was attacked, she was thrown to the ground and her handbag was snatched from her. 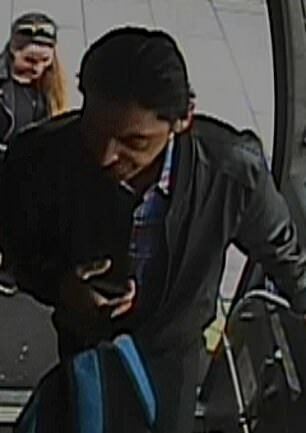 ‘She was small, on her own, vulnerable – an easy target for a man desperate for money. Police arrested Waszkiewicz, who was also born in Poland, after his fingerprint was recovered from a receipt in the bag. He fled the city and hid under a bed at his mother’s house in London to try to avoid arrest. The jury heard he was so desperate for cash that he had tried to sell his dog, and asked neighbour John Shinners for money. The trial was told the 40-year-old had a number of previous convictions including shoplifting, creating false identification documents and one offence of battery. 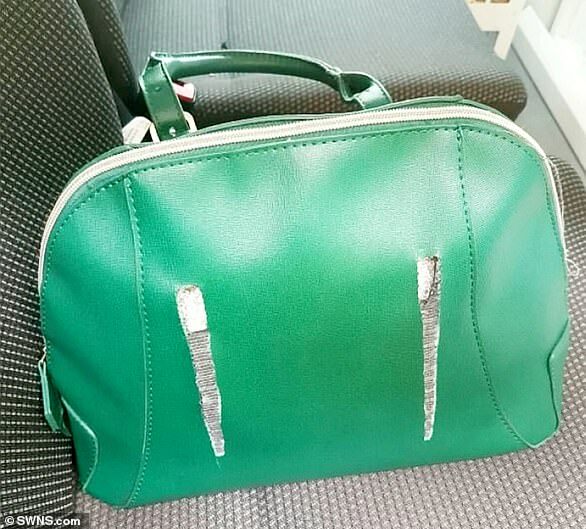 He denied both charges, saying he had found the green handbag in the middle of the road, picked it up, and disposed of it at a well-known fly-tipping area because there was no cash. 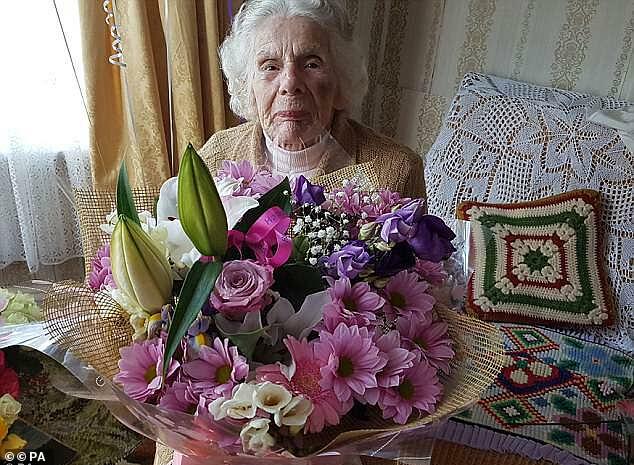 Mrs Kaczan, a devout Catholic, had celebrated her 100th birthday with friends at her home just weeks before the mugging. 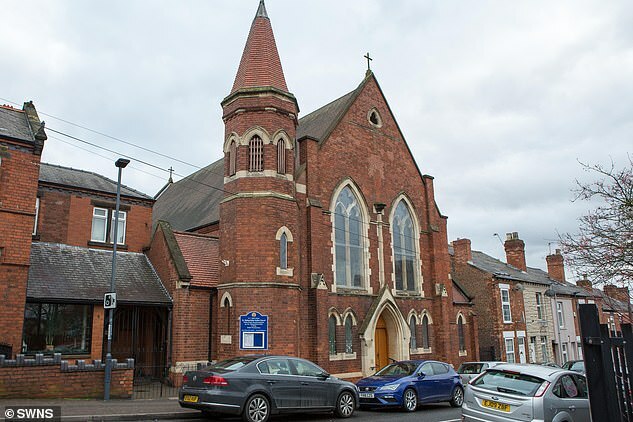 She had moved to Britain from Poland after the Second World War with her husband Micoli who worked for Rolls Royce in Derby before his death around 10 years ago. The couple had no children. 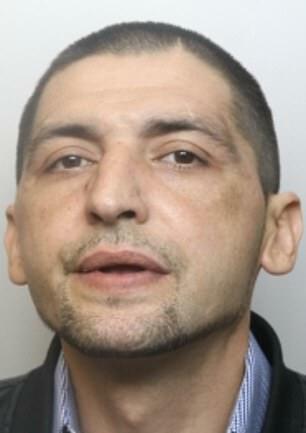 Waszkiewicz, of Shepherd’s Bush, west London, will be sentenced at the same court on Thursday. 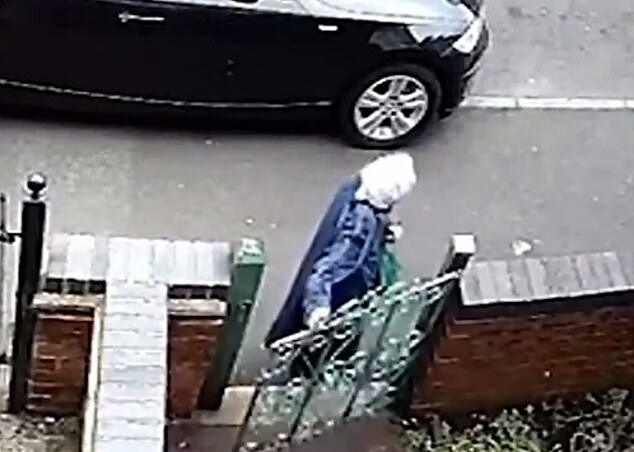 A damning fingerprint on a receipt in the handbag of 100-year-old Zofija Kaczan and her killer’s drug addiction were key factors in proving his guilt, a chief Crown prosecutor has said. Artur Waszkiewicz told his trial he had been a heroin addict since the age of 18, which the prosecution proved to be his motive for robbing the elderly widow. 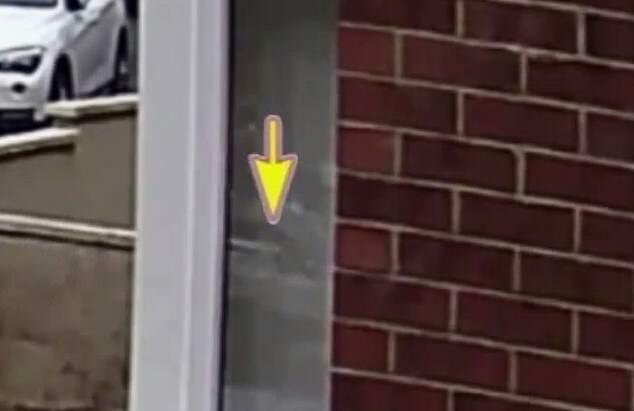 Addressing Waszkiewicz’s previous convictions, Chief Crown Prosecutor for the CPS in the East Midlands, Janine Smith, said: ‘He did have a propensity for dishonesty. Ms Smith continued: ‘The thing about this case is if you look at the defendant’s behaviour before and after – that is what we could put in front of the jury. ‘We knew he was trying to borrow money, we knew he was trying to sell his dog – all to go towards drugs. 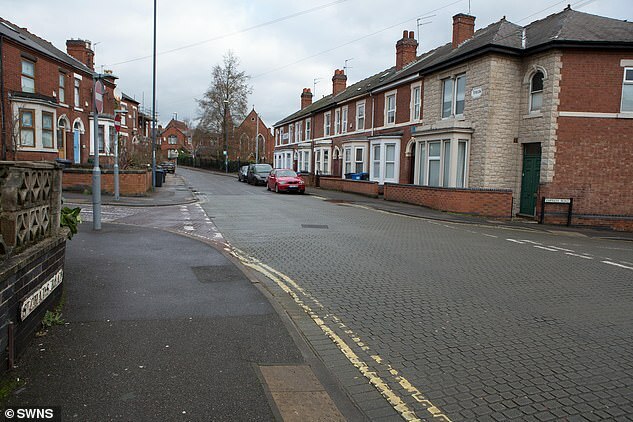 ‘After the offence he changed his appearance and cancelled the insurance policy on his car. Asked what she believed led to Waszkiewicz’s conviction, Ms Smith said: ‘I really do believe it is a combination. 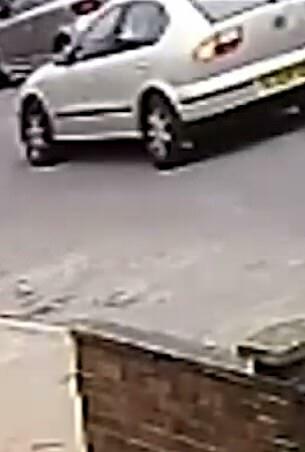 His vehicle being in close proximity very shortly before the offence, the fact you can see the brake lights on his car and the fact that you can see his fingerprints on a receipt in the bag.